accounts, Apache, internet services, DNS, file sharing and so on. Import Webmin signing key for verifying packages using following command. Webmin rpms are available on its official site. Download it from there. 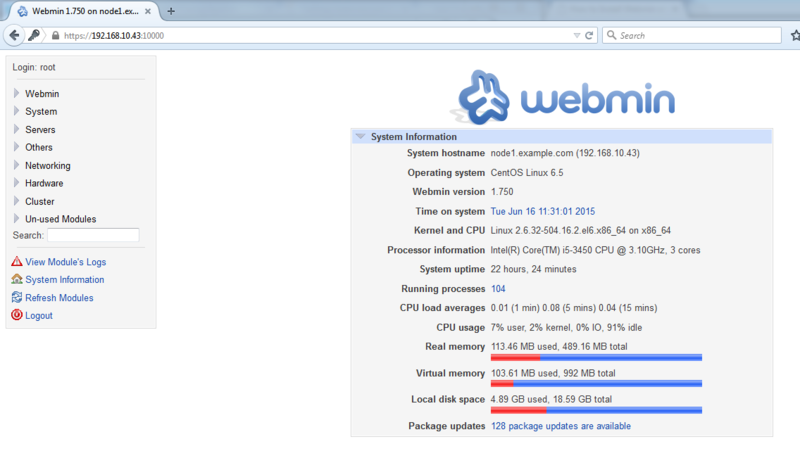 Use following command to install webmin using RPM. 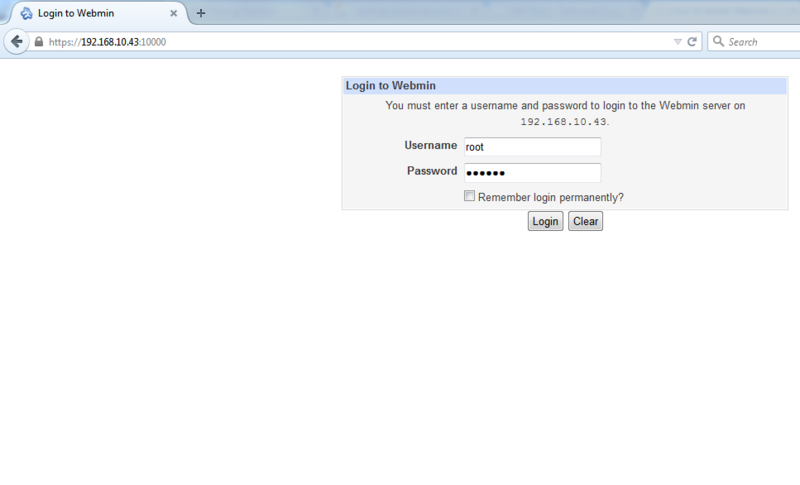 Of course Webmin keeps running on port 10000, so we have to open port on our firewall to get to it. The easiest way to open the port on firewall is using iptables rules. Presently we should ready to get to and login to Webmin using URL localhost or IP and enter the username as root and password (current root secret word), for remote get to simply access localhost with your remote IP address.